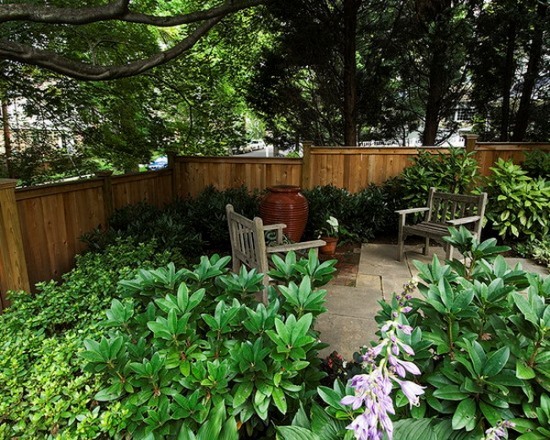 Gardens are the outdoor spaces that we love visiting often times in a single day. People who love gardens go to any extent to keep their outdoor space as beautiful and attractive as possible. However, some believe that the best garden ideas are those that have gardens decorated on vintage theme. Vintage gardens are quite a popular idea among people today, and let me tell you, they do make a lovely place to visit. The vintage gardens give you that historic, old world feeling which is quite soothing and relaxing. Here, we have discussed a few vintage garden ideas for your benefit. This garden has been decorated perfectly in sync with vintage theme. 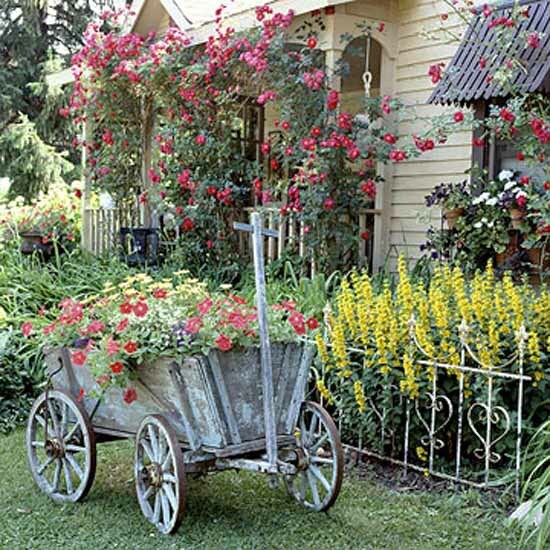 The antique goat cart decorated with flowers gives the garden an old worldly feeling. 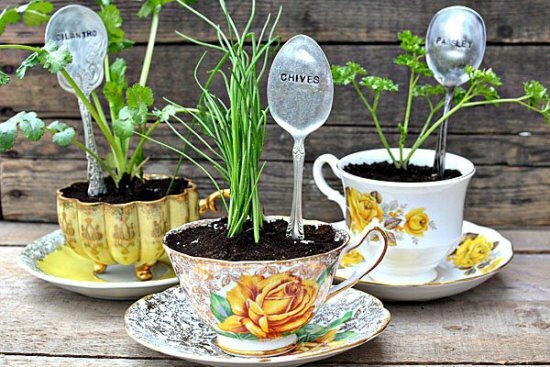 Planted in vintage cup and saucer, these plants can be a perfect addition to a vintage themed garden. The vintage silverware stamped with the plant names adds to the charm of this garden decorative. 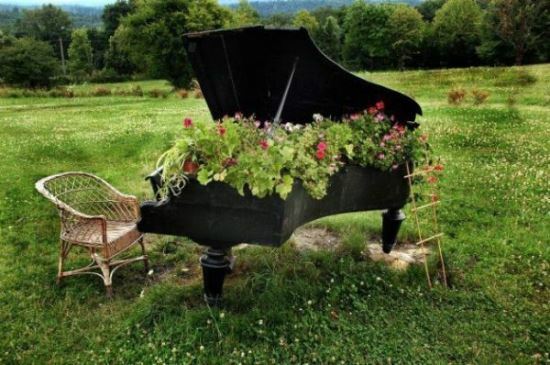 This antique piano is a perfect garden decorative. Planting flower shrubs on the piano makes an excellent vintage garden idea. The vintage chair and small wooden ladder for a vine plant enhances the vintage ambiance of this garden. One may never know how old things can become useful. 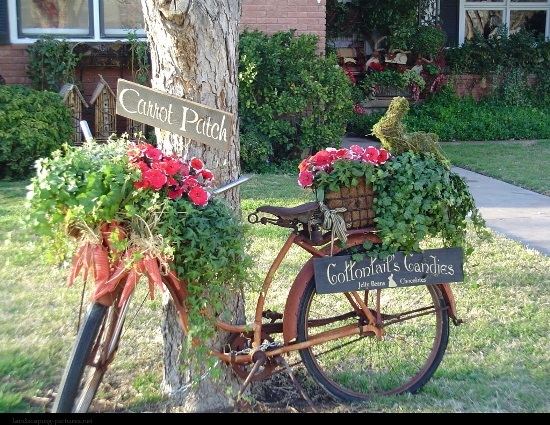 The old bike shown in the picture below is a great vintage themed garden idea. Resting it against a tree trunk and labeling the plants on the bike makes it a good vintage garden decorative. Vintage garden ideas that include antique decorative materials make the garden look just that much better, as shown in the picture below. 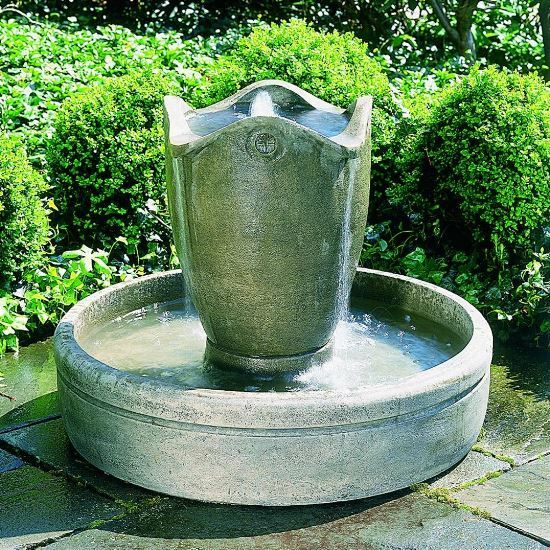 The antique garden fountain with a tiered design gives the garden a classy, antique look. This antique garden with plants decorated in a recycled wooden box and rock floor is the perfect setting for an outdoor seating. The rustic, antique table and chair seating arrangement adds to the ambiance of a vintage garden. Decorating the garden with antique decorative items is a perfect garden idea when looking for setting it up in a vintage theme. 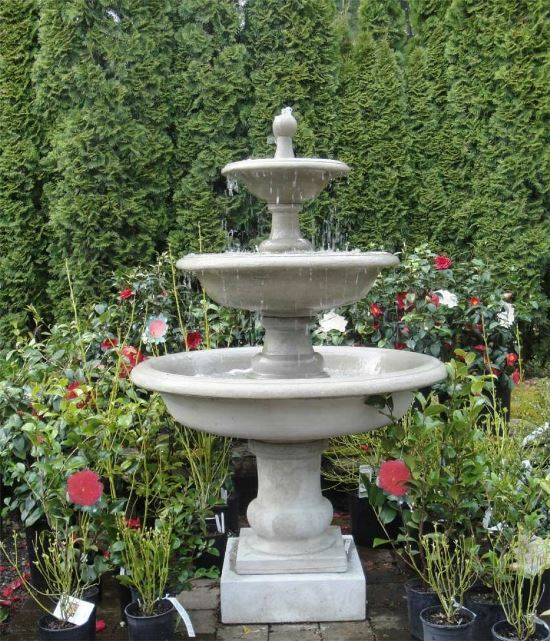 This antique stone fountain makes up a perfect decorative item for your garden. 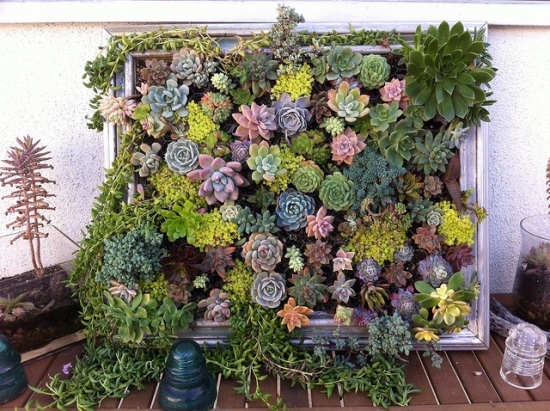 Decorative items can prove quite useful in developing a vintage garden in the backyard. 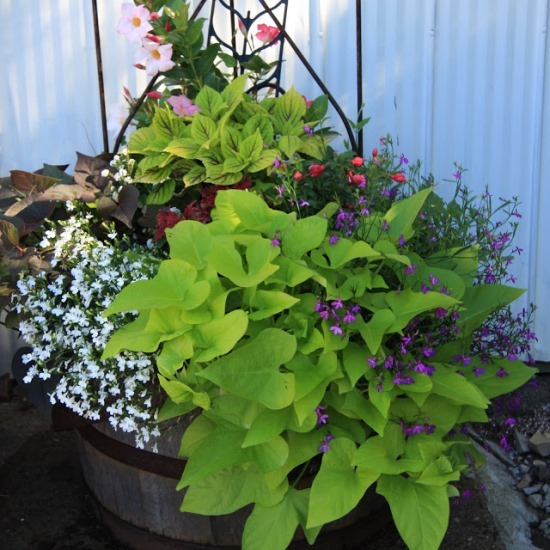 The antique barrel shown in the picture below is used as a container for plants. Such an addition to a garden certainly helps in enhancing the vintage feel of the garden. Vintage garden ideas can help you build that antique themed garden of your dreams. But just as decoration is a great idea, placing vintage furniture is also a great idea for giving the garden that look. These chairs give a subtle yet attractive vintage look to the garden. The typical style of gardens in the olden times was having a small water body in the garden. 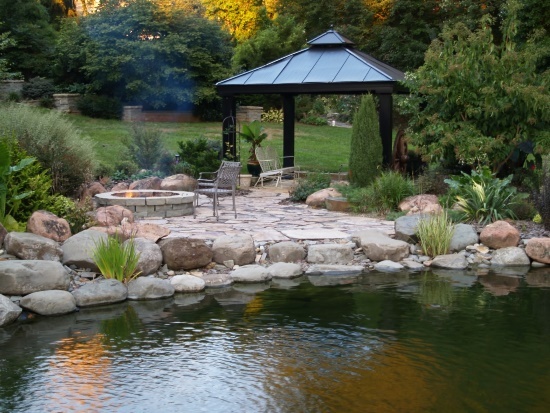 This modern water garden adds a nice vintage touch to your backyard. 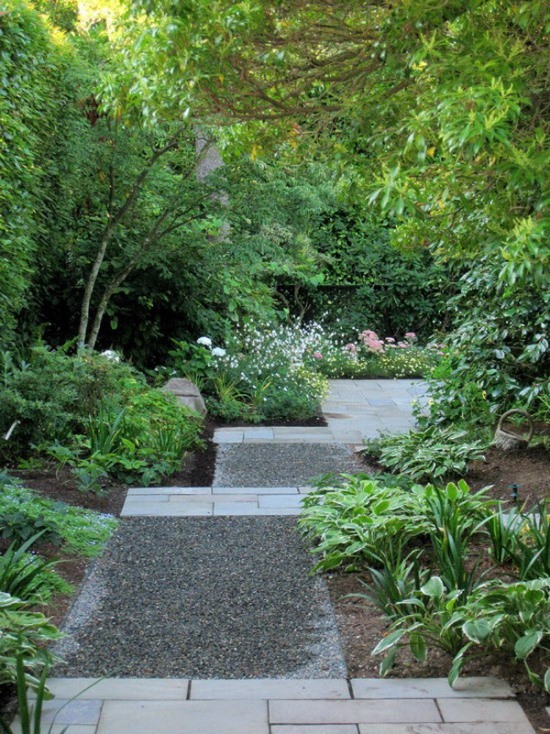 A pathway gives the garden a natural look, especially when it is surrounded by trees and various shrubs and bushes. 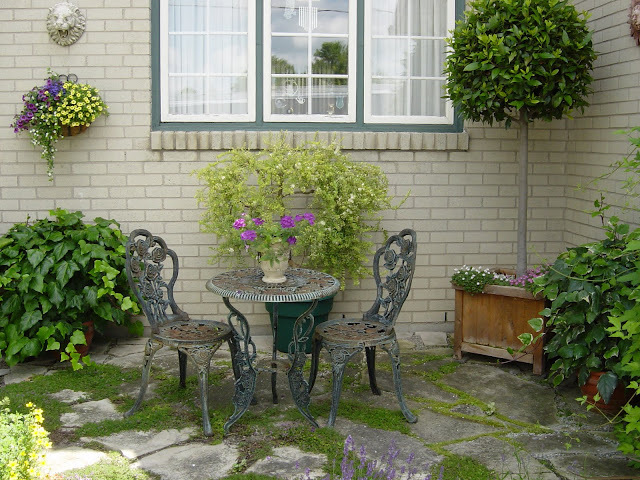 This garden patio design gives the garden a natural vintage feel. Vintage garden ideas for decoration can prove quite helpful when you want to decorate your garden based on a vintage theme. 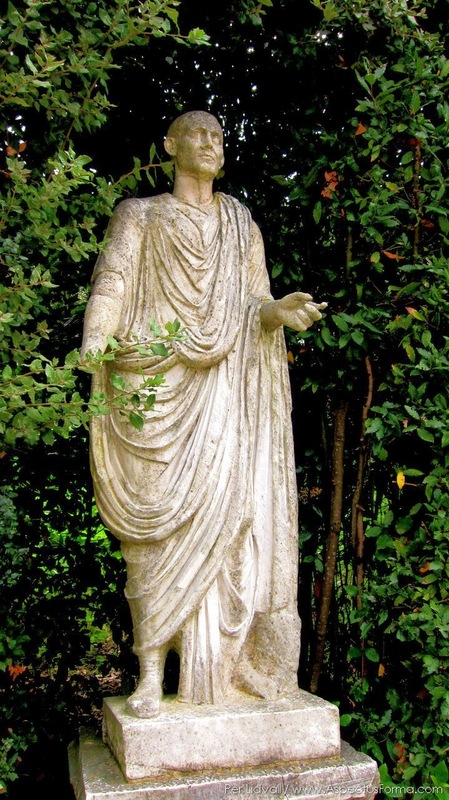 Antique sculptures make up a great decorative item for a vintage themed garden. Ancient items always make a great decorative for vintage gardens. 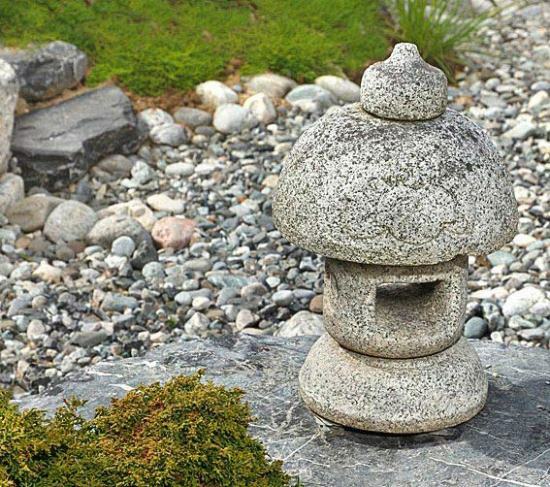 This ancient Japanese lantern is a perfect decorative for a vintage themed garden. A vintage garden idea works best when there are items that enhance the feeling of antiquity in the garden. 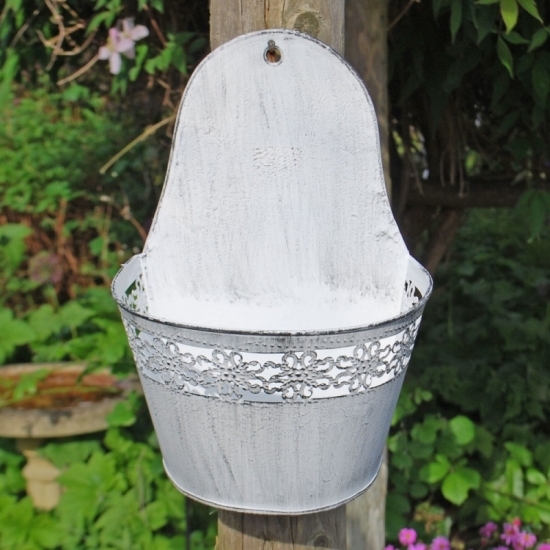 This large white finish antique wall planter makes a great vintage decorative for a garden. Garden ideas for a vintage theme are quite easy to implement. This DIY vintage flower frame is quite easy to create and also makes up a great vintage decoration for the garden. Gardens are always a place we will love to go to and especially so if it is in our own little, cozy backyard or front yard. Vintage gardens only make a garden feel more cozy and inviting. If you are looking for ideas that would help you build a great antique garden for you, then the vintage garden ideas we have discussed here might prove quite helpful. So take inspiration from these garden ideas and build an antique yet cozy vintage garden for you.